Photo source: Mithileshbaraily. Some rights reserved. 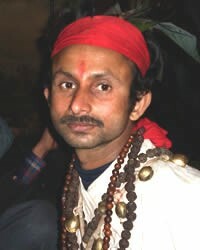 The Khas people have historically been mountain dwellers living near or in the Himalayas. Some believe the Khas originally came to South Asia from Central Asia. At one time they formed a powerful kingdom which extended from Nepal into Tibet. It is said the Khas language was the forerunner of modern day Nepali. Wikipedia tells us that the term "Khas" is now obsolete, as they identify more with other forward (privileged) caste communities, especially the Chhetri. 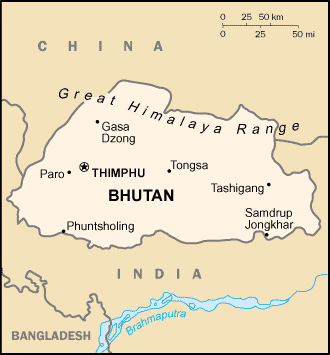 The Khas people live in northeastern India, Nepal and Bhutan. It is very difficult to grow crops or keep livestock in a near tundra climate like Bhutan. The Khas people are Hindus, but they blend this religion with Buddhist elements. This is especially true in Bhutan where a high percentage of Khas people are Buddhist rather than Hindu. The Khas people need the chance to earn a good living in the high mountains of Bhutan, where opportunities are scarce. * Pray for spiritual hunger among the Khas people. * Please pray the Lord will send the light of the gospel to these people in all three countries, setting them free from generations of misunderstanding the God of creation. * Pray that the Khas people will be discipled in the ways of Jesus Christ wherever they live in South Asia. https://en.wikipedia.org/wiki/Khas_peopleView Khas in all countries.